KINGSTON - Prime Minister Andrew Holness says the government of Jamaica is strengthening initiatives to tackle the threat of international banks ending their correspondent banking relationships with local financial institutions. 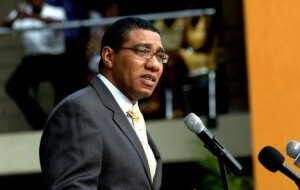 Holness, addressing a press conference on August 17, said he considers the issue “a clear and present danger”. Holness added that the government has held a series of consultations with stakeholders and has been working closely with banks to ensure compliance with international standards. He said he has also met with the Bank of Jamaica and the ministry of finance and the public service, to facilitate further discussion on the matter. The prime minister emphasised that countries in the region must move quickly to ensure that their legislative and regulatory frameworks align as much as possible with international banking requirements.